Best Undelete CF Card Software, recovering data in 3 Steps! Undelete CF Card Recovery Pro, the award-winning card photo recovery freeware is the reliable solution for digital image recovery, digital picture recovery, digital media recovery, photo rescue, photo restore, data recovery, or whether files were deleted, the storage was damaged or formatted. Professional photographers have a few choices with regard to storage devices that need to be used with digital cameras. CF cards are most popularly used removable storage device in market. Due to accidental deletion, pressing the reformat button in camera, or various reasons of damage (e.g. low battery power, turning off on writing/reading), you may have lost your valuable pictures from a CF Card. Do not worry! In most cases, they are still recoverable. 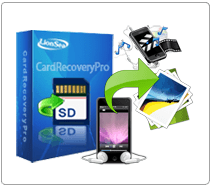 Undelete CF Card Recovery Pro is a CF Card Recovery software to recover deleted, reformatted and damaged photos, movies and files from Compact Flash Card. There are many Compact Flash card brands including SanDisk, Kingston, KingMax, Samsung, Canon etc. 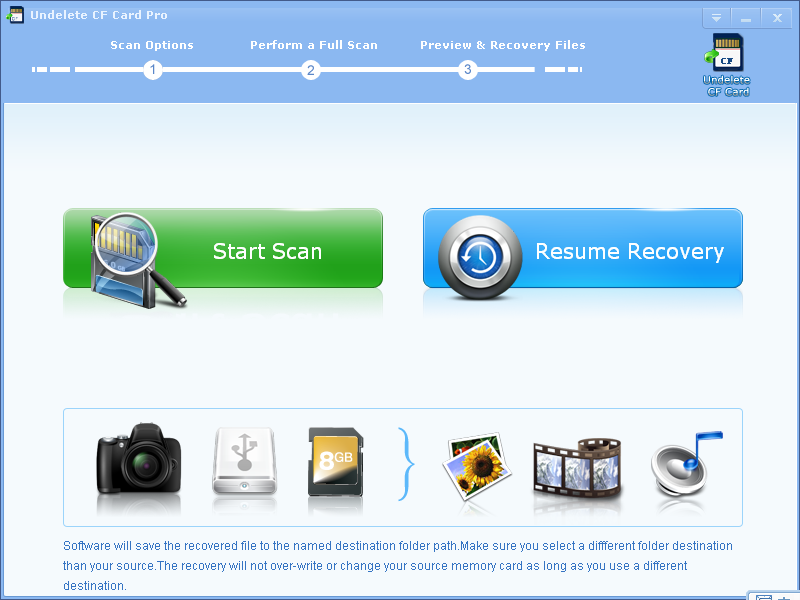 Undelete CF Card Recovery Pro supports all CF Card brands and types on the market. It concentrates in recovering not only CF card but also many removable storages such as SD Card (Secure Digital), Multi Media Card (MMC), XD Card, MicroSD card, Memory Stick, Mobile phone memory card, Cellular phone, digital media, USB flash drive and as much as you can imagine. Many scenarios can lead to the loss such as: accidental deletion events, accidental formatting or reformat, improper operation, other recoverable scenario. For instance, virus infection, unexpected power off, lost photos during transferring photos from storage devices to PC/laptop, file system corruption (camera storage device, hard drive or USB flash drive), unexpected errors during low batteries and improper digital camera turn off, corrupted file format, populating an error message File cannot be open, power failure of PC, causing logical File System corruption on storage device or any sort of errors and corruption causing the memory card unreadable. But no matter which scenario you are facing, please don\'t worry, Undelete CF Card Recovery Pro will take care of this. * Undelete CF Card Pro will undelete all type of photos from your CF card or disk.